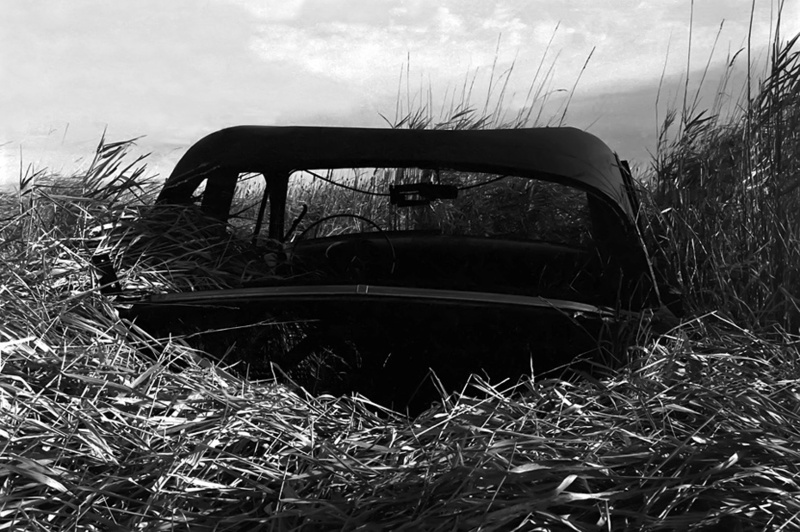 “Overgrown” was photographed during my 6 year period exploring abandoned locations on the back roads of North Dakota. This particular photo was taken at one of the largest abandoned farms I found near my parents town of Lisbon, ND. The old cars were collected in a swamp some distance behind the old farm. This almost apocolypic scene of old cars from a time long past I found haunting as well as historical. Of all the abandoned places I discovered on the back roads of North Dakota, I spent more film at this location than any other.